We will be re-launching our Christian values in September and have bought some wonderful new resources to inspire the children and help them to understand how they can live these values in their daily lives. 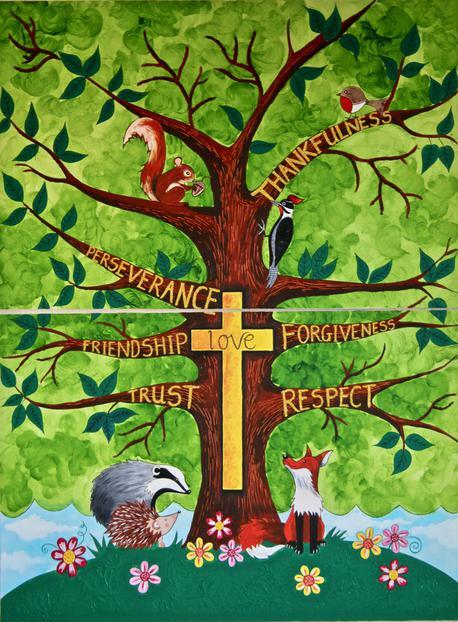 Mrs May has been very busy (again) making this beautiful Values Tree for our hall. She added our core value, Love, into the very centre of the trunk. We all love it and it will help to remind us of our values whenever we look at it. Thank you Mrs May!